Farid Hossain: A five-judge bench of India’s Supreme Court has been hearing petitions challenging the controversial practice of Triple Talaq or instant divorce of wives by Muslim men in India. The practice, which allows Muslim men to divorce their wives by uttering Talaq three times in a go, has recently come under fire from all corners, including a large segment of Muslim population. The practice, long abolished in many Muslim-majority countries, including Bangladesh and Pakistan _ is guided by Muslim personal law based on 1937 Shariah code in India. It is seen as heavily biased in favour of men and massively discriminatory against women. This is a one-way authoritarian practice that allows Muslim men to subject women to injustice. With the advent of the information technology many Muslim men are resorting to mobile phone texts or social media to divorce their wives. All India Muslim Personal Law Board however defends the practice as religiously valid, even though its leaders have recently warned Muslim men against its abuse. The board has said those who abuse the practice will be liable to social boycott. The board has come under fire for its contradictory stand. 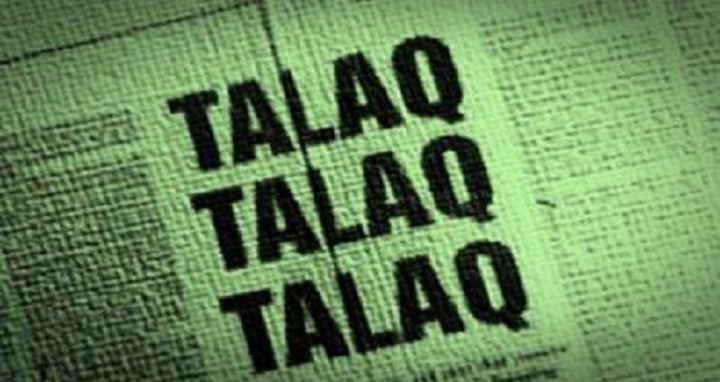 While admitting that the practice is sometimes abused, it strongly maintains that Tin Talaq is valid. Indian rulers have in the past opted to throw the disputed issue under the rug. They acted like an ostrich. Why? One explanation has been that the governing political parties preferred appeasement of minority Muslim votes to confronting the issue head-on. Even Congress and its liberal left-wing allies left the issue alone. However, the BJP-led government of Prime Minister Narendra Modi is trying to make a difference. The Modi government has been very vocal and loud against the practice of Tin Talaq among the minority Muslims in India. In recent months the Modi government and his BJP party have intensified a campaign against Tin Talaq saying the practice undermines the dignity of women and push the poor segments of the society to greater poverty and humiliation. The women who bear the brunt of the bad practice can hardly seek redress in court as there is no law to deal with Tin Talaq, which is guided by Muslim Personal Law based on Shariah, a code for Sunni Muslims. Tin Talaq is practised by Sunnis only. Abolition of the practice, even though much desired for the sake of protecting the rights of Muslim women, is not as easy as it may seem. Cautious approach is necessary. Those who favour demise of the practice plead for a pragmatic approach so the supporters of the system can’t use it to put forward their conservative agenda. The issue is as religious as political. It is understood that majority of Indian Muslims, especially the women, are in favour of abolition of Tin Talaq. That has been evident, according to analysts, in the recent state assembly elections in UP and Uttarakhand, the two neighbouring states swept by Modi’s BJP. Even Muslims, who traditionally voted for the opponents of BJP, have this time cast their ballots for BJP candidates. It seems Muslim women have become fed up with the outdated practices like Tin Talaq and polygamy. In starting its hearing the multi-faith SC bench has made it clear on the opening day it will examine only one issue: whether Tin Talaq is fundamental to Islam. The bench has initially refused to deal with issues like polygamy.